The resistance and durability of materials is one of the most highly demanded qualities in all types of building, and more still in the case of exteriors, where the weather can have a strong effect on the stability of the project. 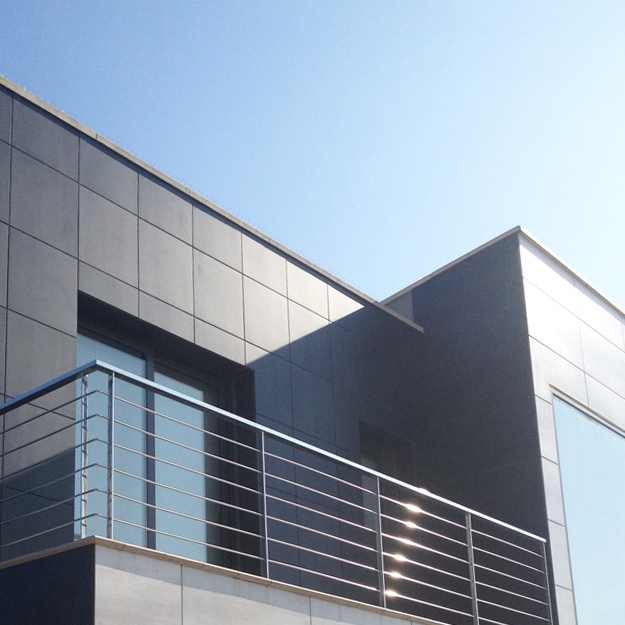 This is why more and more professionals choose high performance ceramic coverings when creating their facades, to guarantee the maximum security for the inhabitants and users of the constructions in which they are installed. 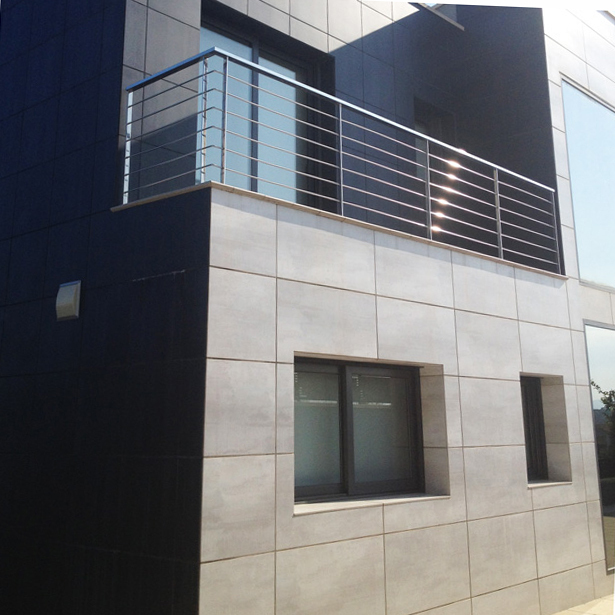 In this case, those in charge of the development of this home, located in a residential area of Girona (Spain), chose to install the technical porcelain of PORCELANOSA Group to create a facade which is aesthetic at the same time as resistant. Its plain appearance attracts attention to the geometry of the facade. 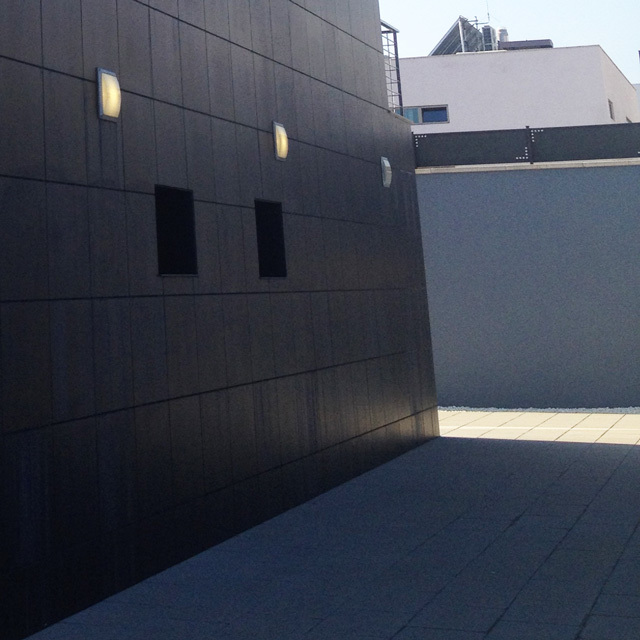 This is an effect achieved thanks to the use of the high performance ceramic covering for the Concrete Black Nature model by Urbatek in most of the facade. The cementitious appearance of the ceramic covering used to cover the walls of the facade brings a very modern, industrial air to the building. 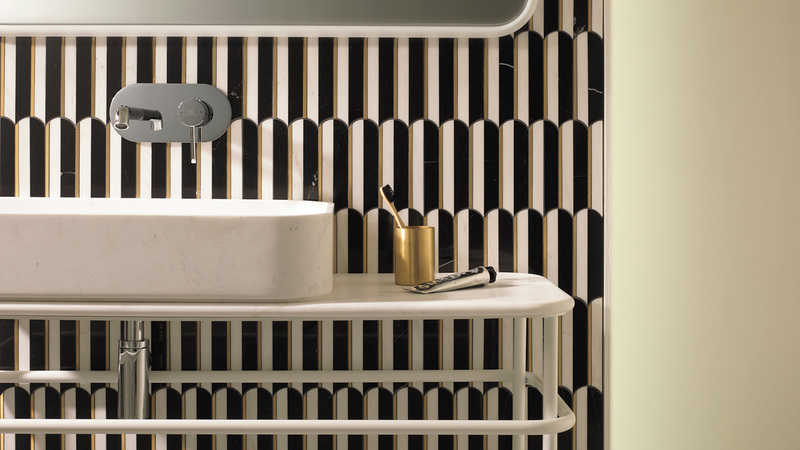 Avant-garde and urban, the Concrete series presents a look which can be combined with a wide range of interior, as well as exterior, atmospheres, in tones of Black, Grey and Beige, with Nature and Lappato finishes, and even four different formats.